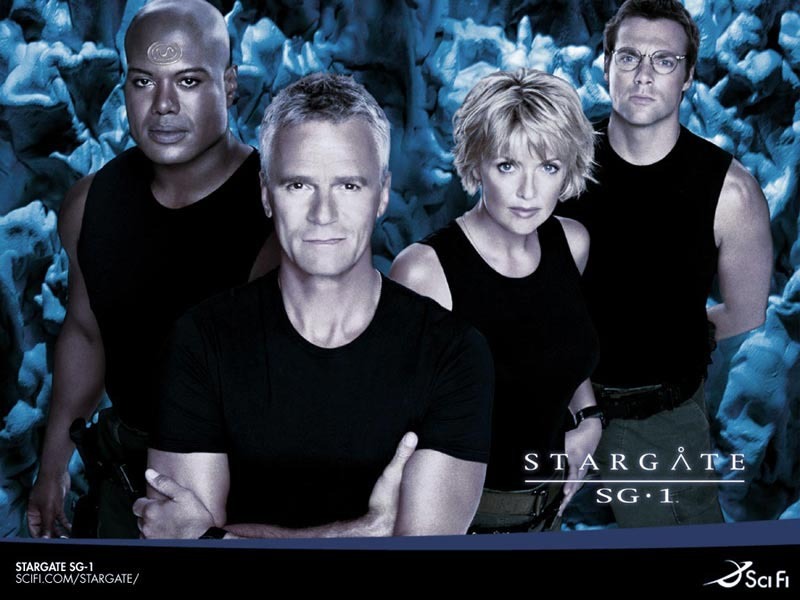 Stargate SG-1. . HD Wallpaper and background images in the Memorable TV club tagged: memorable tv shows 90's show stargate sg-1. This Memorable TV photo might contain penerima televisi, televisi, tv, tv set, kotak idiot, tabung payudara, kotak goggle, tanda, poster, teks, and papan tulis.